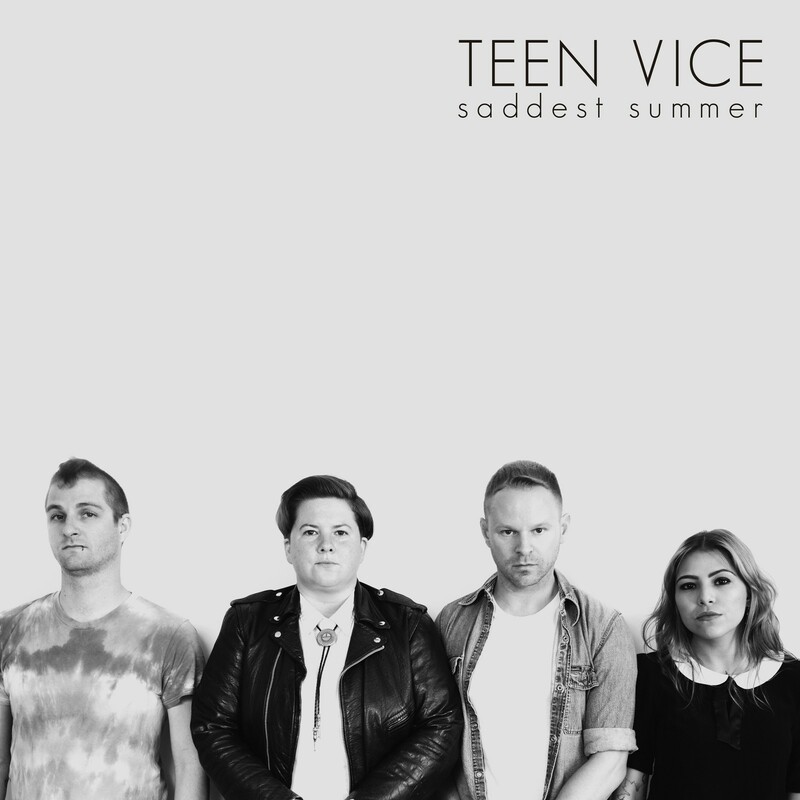 Teen Vice is a NYC based rock band consisting of Tammy Hart (guitars, vocals), Joshua Ackley (bass, vocals), May Dantas (guitars, vocals) and Derek Pippin (drums). A live powerhouse, in its short existence Teen Vice has already received accolades in Impose (twice), Jezebel, Vice, Brooklyn Vegan, East Coast Rocker, and more recently premiered a video via Impose. Teen Vice’s live debut was opening for punk legends Pansy Division, and the band will open in June for iconic Riot Grrrl band, The Red Aunts. The band’s sound consists of Fleetwood Mac style melodies played with the ferociousness and passion of Live Through This era Hole. Tammy Hart’s music career began while still a high school student in South Carolina, when she was signed to Mr. Lady Records, and toured as a supporting act for Le Tigre. At age 18, Hart’s debut album, No Light in August, was written up in the NY Times by Ann Powers as being one of the best albums of 2000. During that time, Hart toured in support of Sleater-Kinney, Indigo Girls, The Butchies and many more. Hart moved to San Francisco, forming the post punk band GangWay! (featuring members of the band No Age). 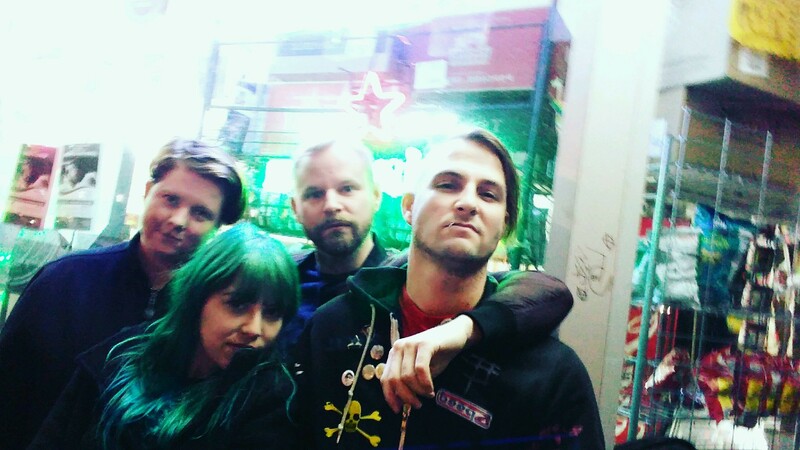 Following a move to NYC, Hart formed two more bands, Winning Looks whose single was recorded by Kathleen Hanna in her home, and Making Friendz (Last Bummer Records). In 2009, Hart joined the band MEN featuring prominent artist JD Samson. Joshua Ackley’s music career began alongside drummer Derek Pippin as founding member and frontman of iconic punk band The Dead Betties. Following their debut album, ‘Summer of ’93’, released on Donna Dresch’s trailblazing Chainsaw Records, The Dead Betties signed to Warner Music Group. From their Warner debut, Nightmare Sequence, the video for single "Hellevator" received rotation on MTV, M2 and VH1. The Dead Betties remained mainstays at venues in New York City, while headlining slots on nation-wide and international tours and festivals earned them a broader audience. Following the release of six albums, The Dead Betties went on an extended hiatus, surfacing to play shows and record on a limited basis. May Dantas formed her first punk rock band, The Dirty Cats, at the age of 13 in Sao Paulo, Brazil. In 2006, Dantas started The Fingerprints, who eventually signed with Dynamite Records. The band earned fame and a devoted following in South America, and was well known for their explosive performances, aggressive music and polemic points of view. Derek Pippin’s music career began with a move to NYC at age 19 with Ackley, to pursue music. Longtime drummer and writer for The Dead Betties, Pippin has performed as a multi-instrumentalist in multiple bands, including Fur Cups for Teeth, Boogie Brains, Sped, The Kickstarts, The Baddicts, Tight Chocolate, the Buybacks and more. Pippin also ran underground punk venue Divine, in Bushwick, and enjoys a prolific solo recording career.